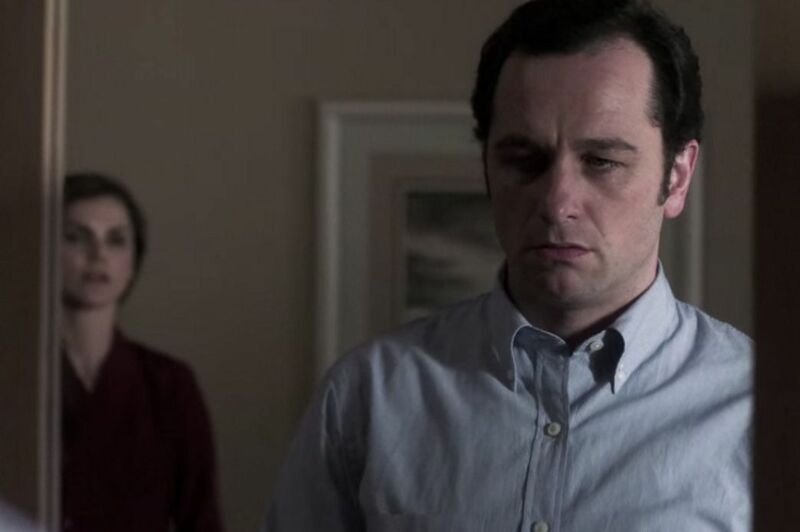 As we head toward the end of season 2 of The Americans, the dominoes are being set up as everything hangs by a thread, ready to crumble at any second. In “Stealth”, all our characters are feeling trapped in some way, looking to break free from the grip of their current lives. Can they, though? It seems as if the events of this season are now revolving around two characters: Stan and Jared. The former is in a shattered emotional state, still reeling from the effects of the brutal honesty of his and Sandra’s situation; add onto that Henry interviewing him and referring to him as a “hero”, as well as Nina’s manipulation, and you’ve got a fragile character right there. His justifications for his actions are starting to hold less weight as the days go by, and we’re left wondering whether or not he’ll truly betray his own country. In fact, Nina’s fate is also entirely dependent on Stan’s decisions; if the plan fails, she’ll be the one tried for treason, unceremoniously sent back to Moscow with nothing to show for it (although that could very well just be a ploy by Arkady). She’s backed into a corner now, trapped, and it’s telling what Oleg advises her to do. He truly cares about her, but when you care about someone, sometimes you have to relinquish a bit of control. For example, Paige’s storyline is all about control, about an attempt to shield her from religion and the American way of life. When she finds common ground with Elizabeth–protesting the use of nuclear weapons–some control is relinquished. It’s all about the balance between personal feelings and personal duty, and it’s tricky to emphasize one or the other when your family’s going head to head with your country. Like Paige, Jared’s just a kid, but he’s trying to find an element of truth in a web of lies. “Get Jared Out” is the message sent by Kate before she dies, and it’s a theme that’s carried over into every interaction with Paige and Henry throughout the season. Kate’s trapped in a place where she eventually dies, but perhaps there’s a glimmer of hope for Jared; of course, this whole situation also raises myriad questions about Jared’s importance in the grand scheme of things. This episode’s most elegant and moving storyline, though, involves Zeljko Ivanek’s John Skeevers, who makes a huge impression in so little screen time. Ivanek’s excellent at conveying the loss and pain of the character, and fittingly, he’s paired with Philip throughout the episode. Is this who Philip’s destined to become? It’s clear that he realizes the connection, and because of this, he knows he has to change his ways. Maybe it’ll start with letting Paige go out with her church group. She’s been trapped her whole life. It’s time to break free. Will everyone else be able to? Elizabeth: Oh God, please do! -Tergeren continues to be a compelling presence, and he’s menacing without being overly shocking for the sake of it. -Claudia has GOT to come back soon. -RIP, Kate. We hardly knew ya. -Two more episodes left in the season. Here we go.